Meat lovers who enjoy a good barbecue can attest that nothing beats the original taste from an old-fashioned charcoal barbecue. The rich taste of a barbecue often brings families and friends together. For the best results, a combination of a good cook, good meat and a good grill is necessary. Charcoal barbecues have a rich history. They are a popular selection among many barbecue enthusiasts. 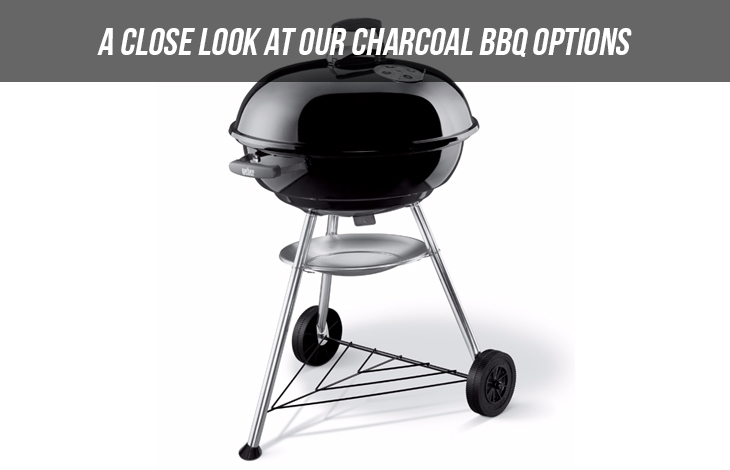 If you want to get a charcoal barbecue, here is a closer look at the options available. The Weber Kettle is the most iconic design among all charcoal barbecues. The famous design has an easily moveable triangular base that supports a rounded drum and a rounded lid. Although the kettle barbecue is an old design, it has undergone numerous changes since its inception. The Weber Original is the most popular model in Australia. The grill was invented by weber kettle grillWeber’s founder and its reception was overwhelming hence the retention of the design. For easy cleaning, the barbecue has a neat ash catcher attached to the grill. The barbecue can come with a gourmet cooking system that includes items like a sear grate, griddle, pizza stone and wok. Although most barbecues are set up on the porch or by the poolside, the Weber Compact Kettle can be set up in smaller spaces. This barbecue allows residents in apartment buildings to enjoy a barbecue at their balconies. This unit is small and features an all-weather crackproof wheels, Porcelain Enamel Lid and Bowl and an ash catcher. With the Weber Compact Kettle,you enjoy the quality of a charcoal barbecue at a competitive price. Barbecues are usually preceded with food preparation in the kitchen. The movement from the kitchen to the barbecue can be a recipe for disaster, especially when cooking delicate meat. The Weber Performer Kettle allows you to prepare the food at the same place you cook. The kettle includes a heavy-duty storage cart for holding accessories and tools. The unit also features a gourmet cooking system, a foldable worktable and lockable wheel castors. This grill lives up to its name. It can be carried anywhere including parks, camping and picnics. The barbecue features a lid that can be used to smoke meats and act as a windshield. The cooking grill is chrome plated and the unit has foldable legs for stability. This barbecue is the premium portable kettle barbecue. The unit shares the design of Weber’s kettle barbecues. The dome-shaped barbecue features a 47-centimetre cooking grill, glass reinforced nylon handles and an ash catcher. During a family camping trip, it would be unfortunate to run out of cooking space for the meat on the grill. The Jumbo Joe can hold a lot of food but when it’s not in use, it fits perfectly into the car. This is a miniature version of the Weber Kettle. It’s perfect for camping, beach visits and outdoors. The unit can easily prepare food for three. Despite its size, the Smokey Joe has great results that can introduce you to the famous Weber Charcoal flavour. The Smokey 37cm Mountain Cooker is the perfect size for smaller meats and smaller sized balconies. It’s small enough to carry on a trip and large enough to make your own homemade bacon. The barbecue features an internal porcelain enamel water pan thatkeeps the food tender and moist. This unit is the original Mountain Cooker and features the best of both worlds. It’s convenient in size and can still feed a whole family. This is the largest unit in the Smoker series and it’s perfect for large preparations like pulled pork and brisket. Choosing the right charcoal barbecue is the first step to great meat feast. Therefore, choose wisely.